The First Ever Transgender Miss Universe Contestant! 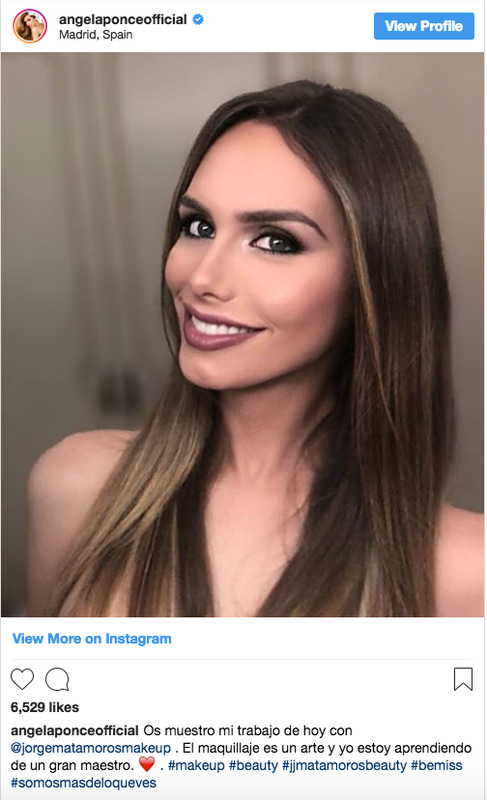 Yes, that’s right folks, for the first time ever in history, a transgender woman will be competing for the highly coveted title of Miss Universe! According to Express UK, Angela Ponce, who is from Spain, recently won her country’s qualifying rounds against 22 other contestants, which means that she will in fact be representing Spain proudly in Miss Universe 2018, which is set to take place in the Philippines. As amazing as this is, this is not the first time Ponce has ever taken part in a beauty pageant…. she actually won the Miss Universe Spain title back in 2015. You go, girl! 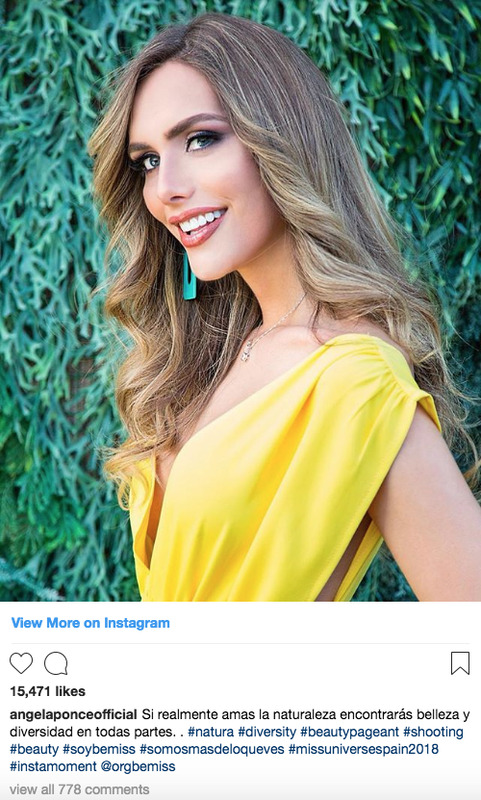 Thankfully, the Miss Universe Organization ended its out-dated ban on transgender contestants back in 2012, and this decision came about after the transgender model Jenna Talackova legally challenged the authorities on it! The case was taken on by celebrity lawyer Gloria Allred due to the fact that at the time, the organization was owned by none other than the current US president, Donald Trump. Wild! Yeah… I know. Not only that, but he also claimed that Allred was a “third-rate” lawyer. Keeping it classy as always! She then continued that the pageant has always celebrated equality for all women. Which is nice to hear, to be honest. 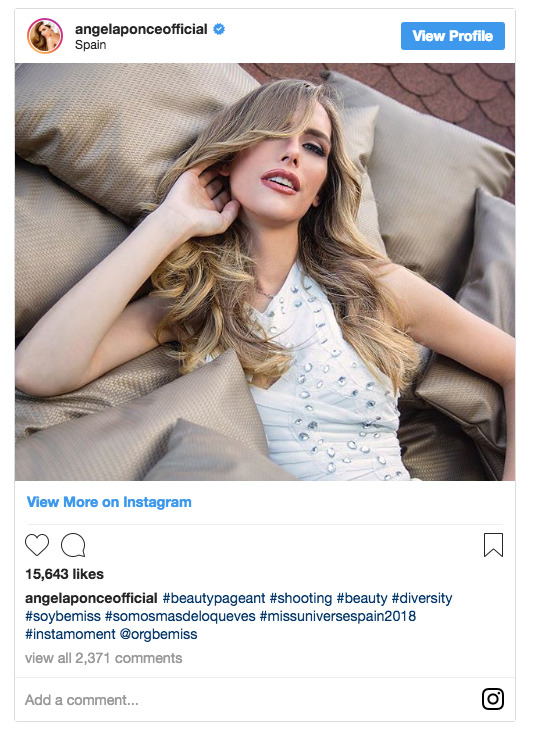 Either way, I’m sure you’ll all join me in wishing Angela Ponce good luck in her upcoming competition… you’ve already jumped the hardest leap! Offbeat - U.S. Daily News: The First Ever Transgender Miss Universe Contestant!